Are you overpaying in processing fees with Square? Century Business Solutions offers an alternative to Square credit card processing that guarantees the cheapest credit card processing for small business. Unlike Square, we provide interchange-plus pricing options that help your business achieve the true cost of processing. Our all-in-one software solutions are secure and cost-effective, and are supported by complimentary in-house customer service available 24/7. In addition, we offer robust mobile payment advantages that allow you to manage payments and get paid on the go, so you can process credit cards from anywhere. If you process with Square, you’ll be stuck paying an additional $0.15 fee for each keyed-in transaction. Plus, you’ll get charged the same high rate for all your payments, regardless of the types of credit cards you process. With our proprietary payment gateway, EBizCharge, you can process every payment at the lowest possible cost, without having to worry about any additional transaction fees. There are over 350 different types of credit cards, each with its own unique interchange rate. With interchange-plus pricing, processing rates assigned by card issuing banks are passed unchanged directly to your business, so you can achieve the lowest fees for each transaction on corporate, commercial, business, government and purchasing cards. Our experienced account representatives begin by performing an in-depth cost savings analysis to determine exactly where your business can save money. Then, we use our interchange-plus pricing model to help you achieve 100% clarity on all payment processing costs. Instead of penalizing you with one high rate for all payments, we take into account the types of credit cards you process, and then price them accordingly. Our interchange-plus pricing is the most transparent pricing model. Interchange-plus pricing provides your business with flexible processing, and the ability to achieve the lowest rates based on the types of cards you accept. 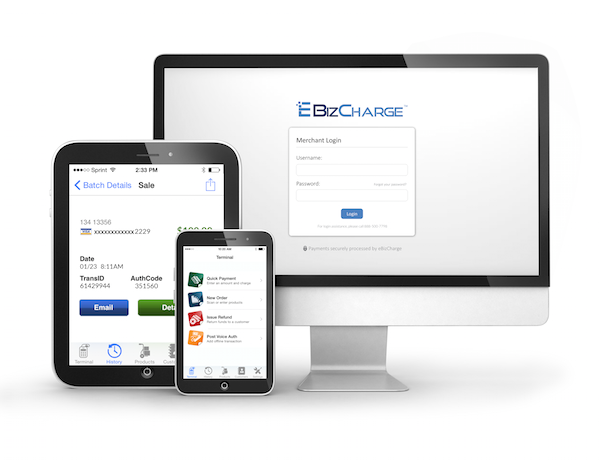 Our EBizCharge mobile app is a cost-effective alternative to Square credit card processing. The EBizCharge mobile app syncs directly with your merchant account, and offers the cheapest credit card processing for small business. Keying in transactions – The EBizCharge payment gateway allows you to securely process payments on the go, and email receipts to your customers. Unlike Square, you won’t have to worry about any additional fees for keyed-in transactions. Swiping credit cards – If you have a large quantity of customers that pay you in person, you can use one of our powerful mobile payment devices to process credit cards in a brick and mortar store, or in the field. Our physical terminals feature expanded memory capacity, integrated printers, state-of-the-art touch screens, and a high-speed internet connect, as well as a phone line as a backup. Whether you process payments using a physical terminal, virtual payment gateway, or ERP software, our mobile payment advantages are guaranteed to provide you with the lowest possible processing rates on each and every transaction. Managing a handful of bulky hardware can be expensive and time-consuming, and can negatively affect the security of your business. Plus, it’s not convenient for businesses that need to process payments on-the-go. With our simple and secure EBizPOS point of sale solution, you can process credit card transactions with or without a physical terminal, and access payments right from your desktop. EBizPOS is the desktop point-of-sale version of our online virtual gateway EBizCharge, and is designed specifically for retail merchants. EBizPOS is a secure, fully PCI compliant, and retail-certified software that allows you to accept payments in your store or over the phone. Your payment system should be fully functional at all times. If you’re unable to process credit cards, you could lose out on valuable revenue. 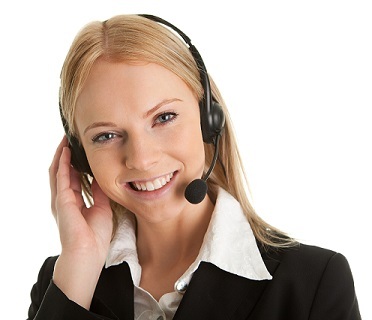 If an issue occurs, our dedicated Support Representatives are always ready to help. That’s right, our in-house customer support team is available 24/7, so you’ll never have to deal with long wait times or frustrating call centers again. We have live representatives ready to assist and resolve your service inquiries around the clock. In addition, our experienced chargeback management team can help protect you against potential chargebacks, saving valuable time and money for your business. Payment security is the glue that holds your business together. Without proper data security, your business could be extremely vulnerable to potential breaches or scams. The EBizCharge payment gateway shields sensitive information with advanced tokenization and encryption technology at all times. Our alternative to Square credit card processing is fully PCI complaint to ensure that your business meets all Payment Card Industry rules and achieves maximum data security. Tokenization technology replaces customer credit card information with a unique token that is only decipherable with our integrated payment system. The original credit card number is never seen, and only the token is used for transactions. Tokenization is an extremely secure payment method that makes it impossible to hack or decipher sensitive credit card data. Once the transaction is processed, EBizCharge uses a cloud-based payment gateway to store information offsite on PCI-compliant servers for maximum data security. The EBizCharge online payment gateway adheres to all PCI specifications set by the Payment Card Industry to reduce security risks for businesses that process or transmit credit card information. Our affordable alternative to Square credit card processing can help significantly lower your processing fees. Your business can process payments with or without a physical terminal, all at the lowest monthly rate for any type of credit card, and you’ll never have to worry about additional transaction fees again. Our in-house Support Representatives are available 24/7, so you can get the help you need, right when you need it. Contact us today to get an alternative to Square credit card processing and lower your processing rates now!